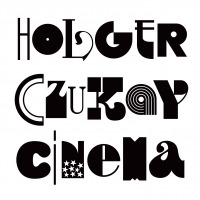 Cinema is an irresistible five cd/dvd box set of music that enables the discovery of the creative mind of Holger Czukay (1938-2017). It may afford a re-discovery for a select few. Probably best known as a member of the famous Krautrock band CAN, which he co-founded in 1968, this collection surveys his post-CAN creations which were the inspiration for much of what was to come with ambient, electronica, and new wave music. Beginning with the organ, and then acoustic bass, we hear the previously unreleased "Konfigurationen" from his 1960 jazz quartet. After realizing he could never be a good jazz musician, he began studying with Karlheinz Stockhausen. Learning tape editing and the art of the mashup, he formed the Technical Space Composer's Crew with Rolf Dammers. The music drawn from Canaxis 5 (Music Factory, 1969) is a precursor to Brian Eno and David Byrne's My Life In The Bush Of Ghosts (Sire, 1981) with its use of spliced tapes, world, and ambient music. He would eventually go on to work with Eno in 1977. While he claimed to avoid jazz, music from his Movies (EMI, 1979) veers into Weather Report's territory before swerving to pop with his new wave hit "Cool In The Pool." Everything here features samples and found sounds making for some very hip left-handed humor. Then there are his collaborations with Public Image Limited (PiL)'s Jah Wobble, and the creation of club dance music and chill out grooves. Czukay was a master of dubbing and looping short-wave radio sounds. The set makes the case he was the father of Robin Rimbaud, the electronic artist known as Scanner. Other groups owing him a debt include The Art Of Noise, Thomas Dolby, and even Negativland. He was sought out by The Eurythmics to perform on their debut, and by David Sylvian, with whom he collaborated to create two minor classics, Plight & Premonition (Virgin, 1988) and Flux + Mutability (Virgin, 1989). It is almost certain bassist Bill Laswell was influenced by Czukay's experiments. The two musicians share an ongoing quest for experimentation and for a collage of sounds and musicians. Also included is a video, an hour long TV movie titled "Krieg Der Tone" ("Sound Wars"), in which Czukay turns a 12-year old classical music student into an avant-garde disciple. This is one weird and wonderful set. 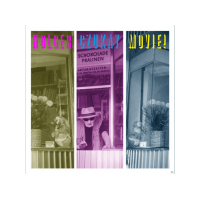 Track Listing: (CD1): Konfigurationen; Canaxis; Boat Woman Song; Ho Renomo; (CD2): Oh Lord Give Us More Money; Persian Love; Cool In The Pool; Hollywood Symphony; Les Vampyrettes; Biomutanten; (CD3): Menetekel; Signal; Witches Multiplication Table; On The Way To The Peak Of Normal; Ode To Perfume; Two Bass Shuffle; How Much Are They? ; (CD4): Trench Warfare Full Circle R.P.S. (No. 7); Twilight World; The Photo Song; Der Osten Ist Rot; Das Massenmedium; Träum Mal Wieder; Hey Baba Reebop; Hit Hit Flop Flop; (CD5) Perfect World; Music In The Air; Ride A Radiowave; We Can Fight All Night; Through The Freezing Snow; Breath Taking; La Premiere; 21st Century; Mandy.